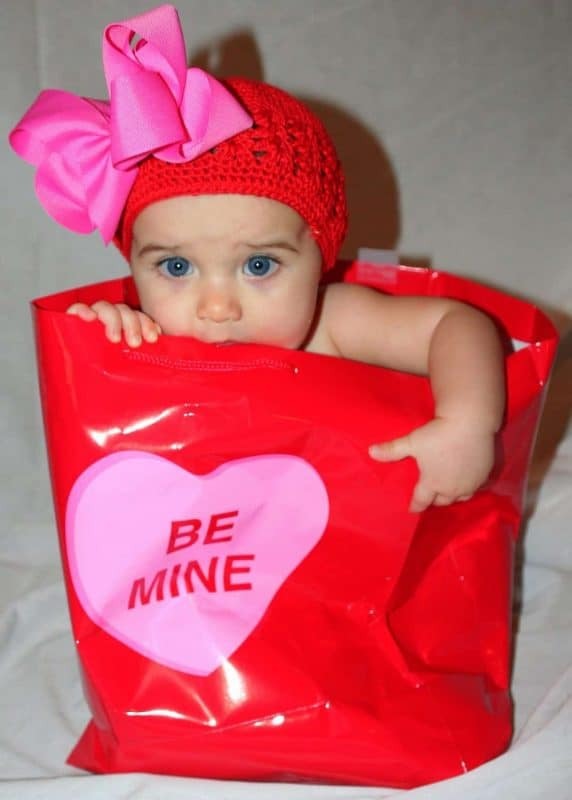 I have a little Valentine’s Day flashback for you all…. 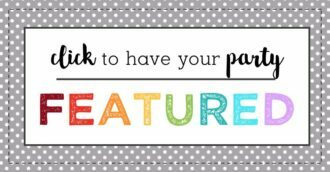 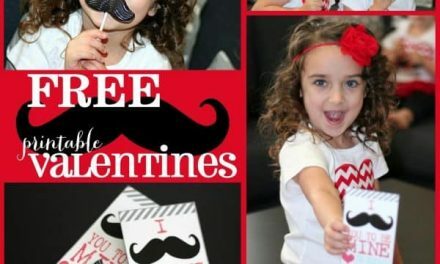 Looking back at her little photo as my “Valentine” in her little conversation heart bag inspired me to feature some awesome conversation hearts party ideas today! 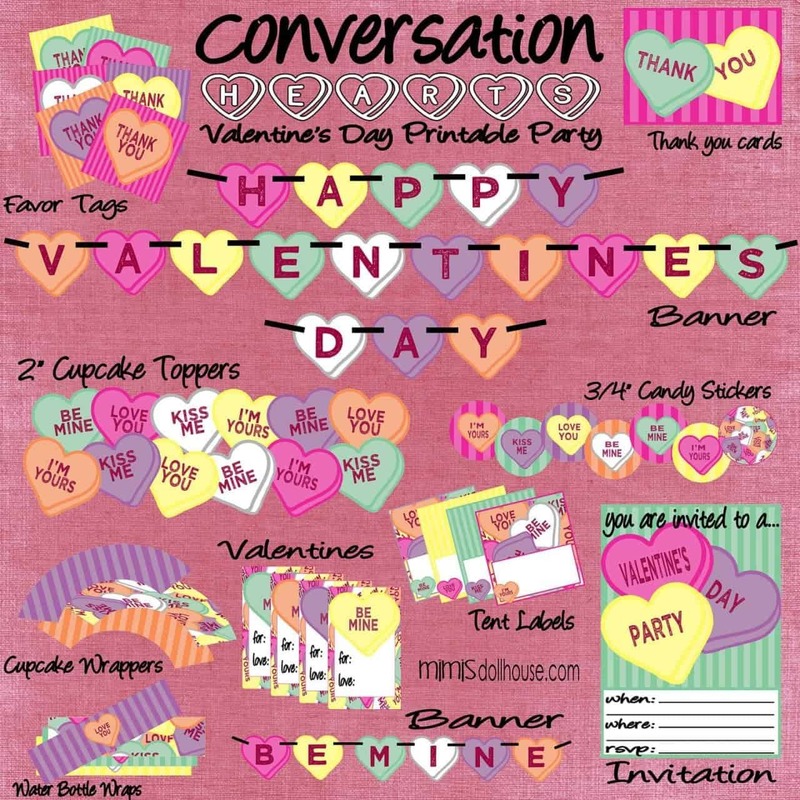 Last Valentine’s Day I released a fun and classic Printable Conversation Hearts Decorations. 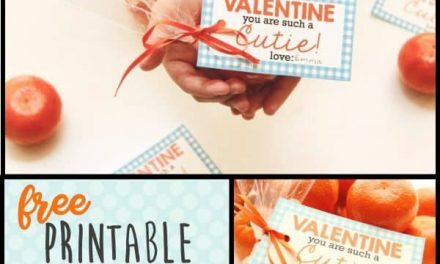 The inspiration behind this design was, you guessed it…Those little conversation heart candies:) Now, while I think the little candies are adorable and iconic….I do have to admit that I am not a super big fan of actually eating them…at least by themselves. I find the texture a little chalky. 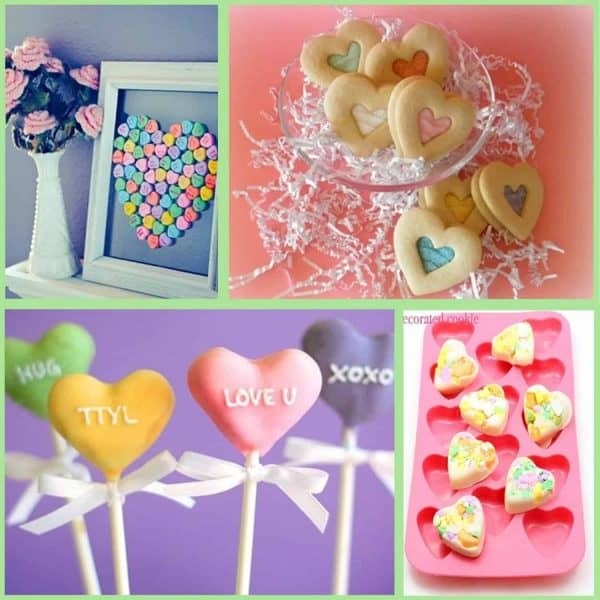 The chalky texture is what makes the next two Conversation Heart ideas so fabulous. 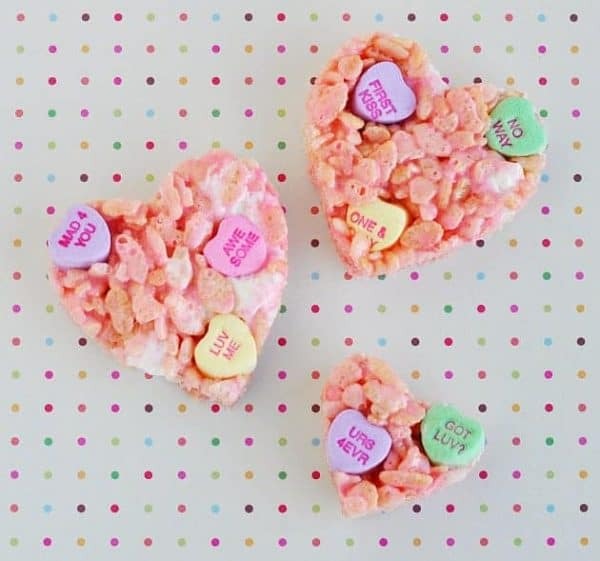 By using the little hearts as a small part of a larger and super yummy dessert…you avoid the chalky aftertaste of eating the candies by the handful and still retain the theme and the ability to giggle as you read them with your friends. 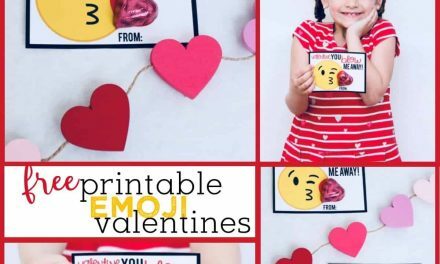 I mean honestly…isn’t that what conversation hearts are REALLY for??? 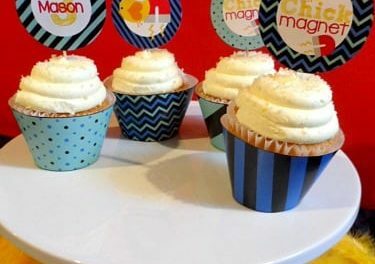 First fabulous idea comes from one of my all-time favorite blogs, Confessions of a Cookbook Queen. 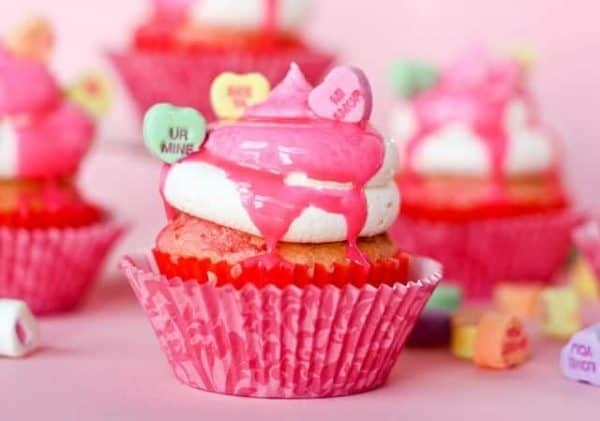 These adorable Conversation Heart Cupcakes look amazing and would be the perfect addition to any Valentine’s Day party!And of course the double cupcake wrapper in the contrasting patterns… Seriously one of my FAVORITE cupcake display tools!! The Printable Conversation Heart Decoration Package is available for free download!